This post is part of the “So You Wanna Build an App” series. The other posts include: “What to Consider Before Developing an App,” “Know Your Audience,” and “Safety First.” This series is based on lessons we learned when developing the NNEDV Tech Safety App, and in reviewing dozens of apps created for victims of domestic violence, sexual assault, and stalking. Our reviews can be found in the App Safety Center. In the “Safety First” post, we talked about how to minimize risks for users when you build the app. Another concern that app developers must be aware of is security—both security of the app itself and security of the data that the app collects from users. Also remember that some types of data are more sensitive than others. Sensitive data includes personally identifying information like name, birthdate, location, health/mental health information, and documentation of abuse. The exposure of sensitive data can have dangerous consequences for the survivor if it’s discovered by the abuser. For this reason, securing sensitive data from unintentional disclosure is crucial. Develop your app in a way that doesn’t require users to share personal information, or that offers users multiple ways they can opt into or out of sharing personal information. For example, some safety apps allow users to contact someone through the app. Develop the app in a way that lets the user manually type in the contact information, rather than requiring that the app be connected to their contact list. 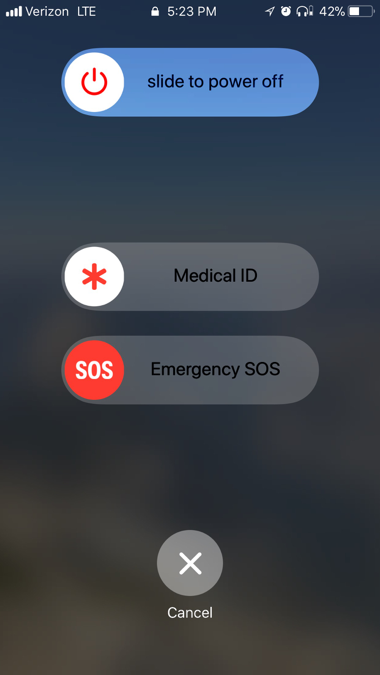 Also remember - if your app is designed so that it can inform 2 or 3 contacts when the survivor needs help, the app does not need access to the entire address book. This is also helpful, because some users may want to input a safety contact, such as their domestic violence advocate or private attorney, who isn’t in their contact list. Speaking of apps – check out NNEDV’s Tech Safety App! DC-based company 3Advance developed the CMS infrastructure and created the multi-platform mobile apps to bring to life the NNEDV Tech Safety App. If you’re an app developer or a victim service provider working with an app developer, be sure to check out our Considerations for App Developers resource! This post is part of the “So You Wanna Build an App” series. The other posts include: “What to Consider Before Developing an App,” “Know Your Audience,” and “App Security.” This series is based on lessons we learned when developing the NNEDV Tech Safety App, and in reviewing dozens of apps created for victims of domestic violence, sexual assault and stalking. Our reviews can be found in the App Safety Center. · Quick Escape – Most websites for survivors of abuse have a “Quick Escape” or “Exit” button so that they can leave the site quickly if they’re worried that someone is monitoring their internet use. However, this can be a challenge for apps, since having an exit button can take up valuable screen space. It’s also unnecessary because it’s often very easy to quickly close an app. Since building an “Exit” button throughout an app isn’t practical, the best way to inform users of possible monitoring is to inform them before they download the app. · Disguised Apps – Some apps have been designed to look like something else, such as a news app or a calculator, but are actually apps to help domestic violence or sexual assault survivors. While it might be helpful for the icon to be disguised so that it doesn’t raise the suspicions of an abusive partner, there can also be significant challenges with this strategy. The Apple App Store doesn’t allow these types of apps, or they require an explanation of what the app actually is in the app description, which may defeat the purpose of it being disguised. App users also won’t be able to find the app unless they know exactly what it’s called and what the icon looks like. If the icon changes as a part of the update process and the survivor doesn’t notice, this may make the app hard to find, or may lead to accidental deletions. Survivors may also forget the fake name if they download the app and don’t use it regularly, making it difficult to find in a time of crisis. Moreover, if someone happens to open the app on the phone, they’ll know that it isn’t whatever the app is pretending to be. In some cases, app developers may actually build the disguised app and hide domestic violence/sexual assault content within the app. While this might minimize the risk of someone opening the app and immediately seeing the domestic violence/sexual assault content, it might be harder for users to access hidden content easily and quickly. · Passwords – Some apps will use a password to protect the app (or parts of the app) so that only someone with the password can access it. This strategy does work to a certain extent, particularly if there’s private or sensitive information the survivor wants to keep protected in case someone goes through the device. Just keep in mind that a password protected app might raise the suspicions of the abusive person if he or she is used to having full control over the device. This strategy might be best for someone whose abuser generally doesn’t have access to the device, but who wants additional privacy protection for the information she/he is accessing or storing. Having this as a security option rather than a default setting can be helpful for survivors, because it lets them individualize the app based on their unique circumstances. This post is part of the “So You Wanna Build an App” series. The other posts include: “What to Consider Before Developing an App,” “Safety First,” and “App Security.” This series is based on lessons we learned when developing the NNEDV Tech Safety App, and in reviewing dozens of apps created for victims of domestic violence, sexual assault, and stalking. Our reviews can be found in the App Safety Center. If you don’t have expertise in the dynamics of domestic violence, sexual assault, or stalking, work with experts in those respective fields to develop your content and to ensure your language is correct and appropriate. Domestic violence, sexual assault, and stalking are all very nuanced issues. Users of your app could be in a traumatized state of mind when they’re using your app, and your content needs to be sensitive. Victims may not yet have the words or definitions to explain what they’re experiencing, and the way you describe it may have a major impact on their understanding. Work with domestic violence, sexual assault, and stalking victim experts to help you write content that is appropriate.